WinRAR (32 Bit and 64 Bit) is a powerful archive manager. It can backup your data and reduce the size of email attachments, decompress RAR, ZIP and other files downloaded from Internet and create new archives in RAR and ZIP file format. Changes in RAR compression RAR general compression algorithm is optimized for better utilization of several processor cores. While some speed gain is possible even in single processor mode, best results are achieved in multi-core environment. Speed gain depends on data type and average file size. Several cores are utilized more efficiently when compressing large files. 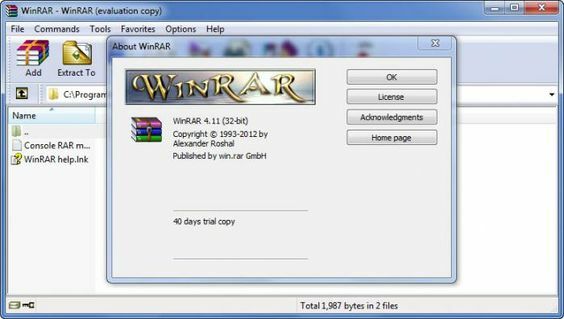 Berlin, 26th June 2018 – win.rar GmbH and RARLAB.COM are pleased to announce the final release of WinRAR 5.60. The result of the continuous development is a multi-functional, user-friendly software with an intuitive interface featuring state-of-the-art options for downsizing, extracting, securing, restoring, repairing, sharing and managing files. The design of the icons and toolbar has been changed and usability has been further improved. After putting it to the vote, the WinRAR users have decided on a new icon and toolbar design! It is a pleasure to announce that the user’s favorite idea has been created by Aditya Nugraha Putra, from weirdsgn.com, and will be used in version 5.60 as WinRAR’s default icon motif. Gratitudes go to all of the designers from weirdsgn.com and icondesignlab.com who participated in the challenge to create the new icon and toolbar designs, and the WinRAR users who helped make the final decision about which design set will be represented in the new version. The look of the info dialog has also been modernized. The compression ratio graph has been refreshed, and “Names and Data” is now displayed in the “Encryption” field for archives with encrypted file names. The “Repair” command efficiency has been improved for recovery record protected RAR5 archives. It can detect deletions and insertions of unlimited size as well as shuffled data, including data taken from several recovery record protected archives and merge them into a single file in arbitrary order. The usability of the decompression password dialogue has also seen some improvements. 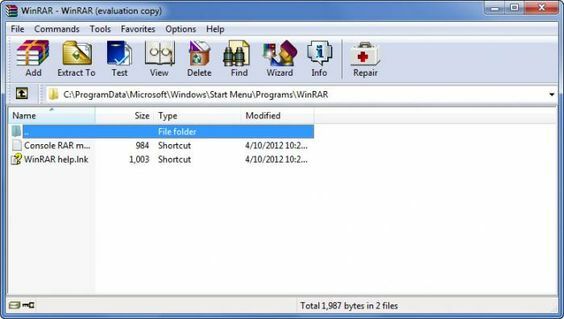 Now, if a wrong password for password protected RAR files with encrypted file names is inserted, WinRAR will propose a valid password instead of simply aborting the extraction process. This feature was already successful in previous versions for encrypted file data, but it has now been added for encrypted file names too. This option is also available for unpacking encrypted files in ZIP archives. Furthermore, the full archive name is now displayed when the mouse is placed over an archive in the operation progress window. This is useful for users who handle archives with lengthy archive names that do not fit into the available window space. The new version now recognizes different encodings like ANSI (Windows), OEM (DOS), UTF-8 and UTF-16 and is able to display them correctly in comment files.